Dominica is known to many as the Whale Watching Capital of the Caribbean. The deep coastal waters are the feeding grounds for many species of cetaceans. Dominica is known as the Nature Isle of the Caribbean. Come visit and discover a world that is as pristine today as it was hundreds of years ago. Care to snorkel a shallow reef? How about above a volcano? Then come snorkeling with us at Champagne Reef , a bucket-list must! Let us help you get started on your next Dominica dive vacation by booking your boat diving packages, your dive courses or whale watching trip in advance! Join us at Dive Dominica for fantastic scuba diving, snorkeling and whale watching on the Caribbean’s Nature Island! It’s our pleasure to make your Dominica dive vacation as safe, fun and memorable as possible. 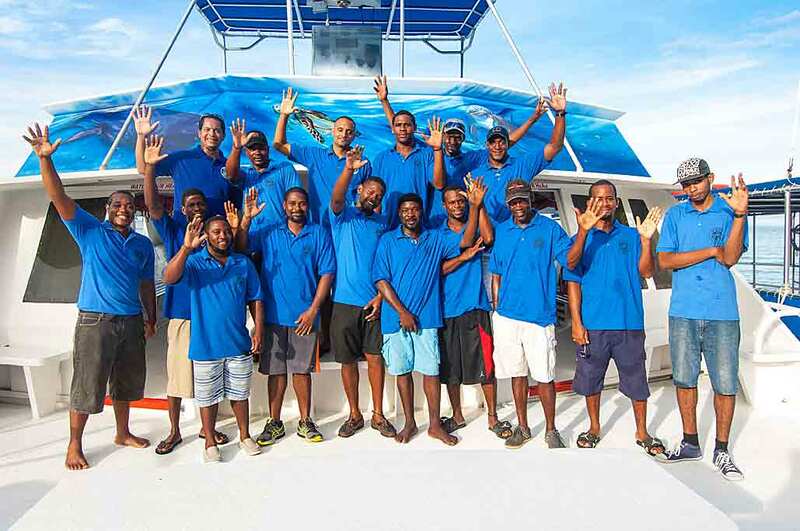 The dive staff of Dive Dominica. Certified boat captains, PADI professional instructor and dive masters ready to provide you with concierge dive services. We’re serious about your enjoyment! With 5 boats at our disposal, we can be incredibly flexible for putting together the right package for your private charter. A picture is worth a thousand words. Videos maybe even better. And we've got quite a few to share. We're happy to have you with us whether you are coming to dive for one or two days or an entire week. 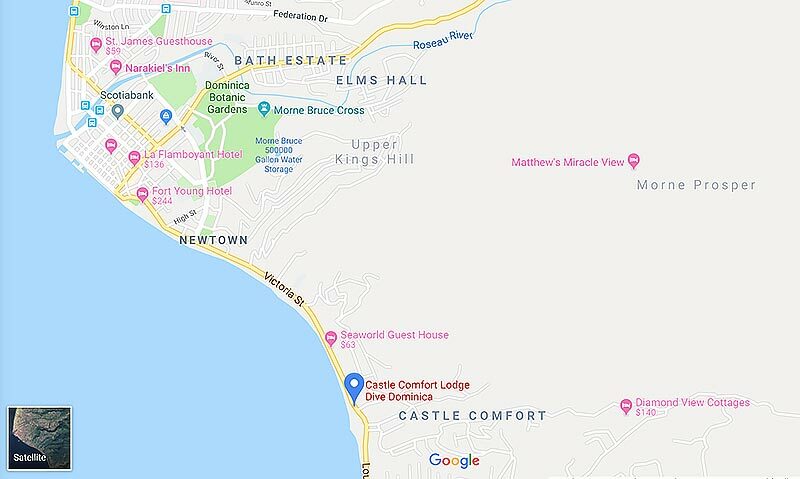 Dive Dominica is located on Victoria St, about a 5 minute drive south of downtown Roseau.